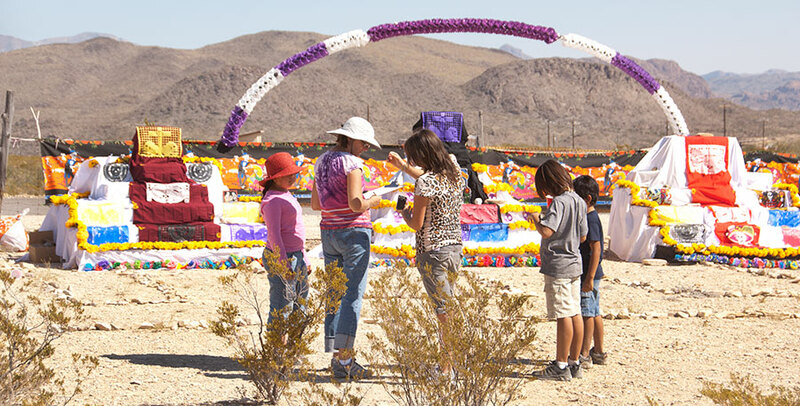 The Terlingua Cemetery is real. We have friends and family resting here, so we take it seriously. We invite you to visit, respectfully, and reflect on whatever pops into your mind. 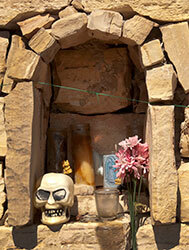 We're told the cemetery is one of the most photographed places in Texas and we believe it. Feel free to explore and document what you find. 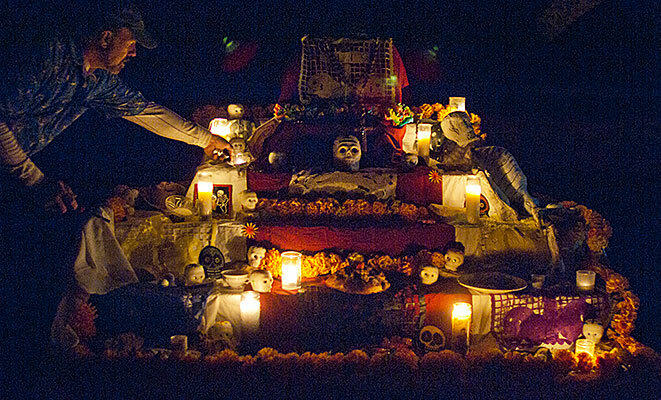 Each fall, on the Day of the Dead, we welcome friends, neighbors, and visitors to join our all-night vigil. We build a fire, light candles, sing a little, reminisce, and wonder where we'll be next year, and the next. If you really, really, really like it here, plots are available. 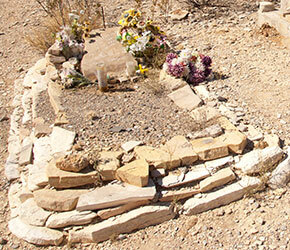 That way, when you hear people complain that Terlingua is hotter than hell, you'll have a direct comparison. We think you'll like it here. We've never had any complaints.